It costs about $300 for each priest or sister. 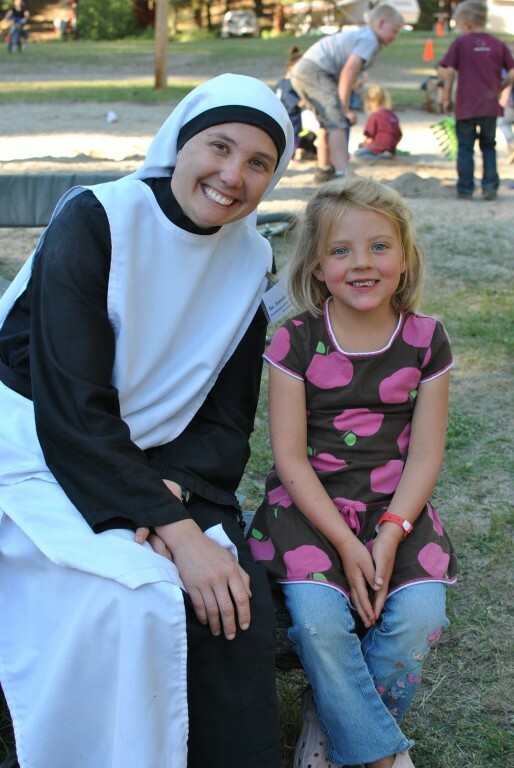 Would you be able to sponsor a priest or sister or two?! Buy a meal for a priest or sister ... they enjoy to eat, too! Purchase a night's lodging for a priest or sister. Help with the travel expenses of our fabulous priests and sisters. This year they will be coming from Idaho, Washington, Oregon, and as far away as Tennessee. Each year we have requests from families who would love to come to Idaho Family Camp but are in need of financial assistance. Would you be able to help them out? There are always miscellaneous and unforeseen expenses with running Idaho Family Camp and your donations really help us each year.